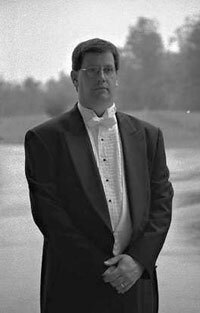 Mr. Turner graduated with a Bachelor of Music Degree in Music Education from East Carolina University in 1988 and received his Master of Music Degree in Music Education from Virginia Commonwealth University in 2000. Beginning in 1989, he taught instrumental music at Thomas Dale High School in Chesterfield Country for six years before relocating to Williamsburg. He spent two years directing high school musicians at Lafayette High School, and transferred to Jamestown High School upon its opening in 1997. 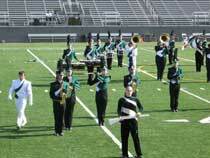 He initiated the band program at Jamestown, and has guided his bands through a process of growth throughout the years of the school’s existence. He now directs the marching, symphonic, jazz, percussion groups at the high school, In addition to serving as head of the Jamestown Fine Arts Department, Mr. Turner participates in number of out of school concert and musical activities. He is an adjunct instructor at Virginia Commonwealth University as well as a trombonist performing at Busch Gardens in Williamsburg, has served as a Festival judge, and is a member of both MENC and VBODA.